I never gave much thought to the fact that one of my favorite film franchises ever, Christopher Nolan’s Dark Knight Trilogy, was coming to an end the same year as one of my favorite TV shows, Breaking Bad. And, I never once imagined that I’d be writing a piece arguing the fact that Walter White seems to be the perfect character to be spun off as Mr. Freeze in a new Batman franchise. It wasn’t until Walt’s brother-in-law, DEA agent Hank Schrader, uttered the line, “It’s always darkest before the dawn,” in last Sunday’s episode that this realization hit me. You’ll remember that this was the famous line from Harvey Dent in The Dark Knight. And, the more I thought about it, the more convinced I became that Vince Gilligan and his writers have been setting Walt up to become Mr. Freeze from the get-go. I have to believe that even Christopher Nolan would admit that if he were to make a Mr. 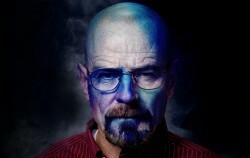 Freeze character, Walter White would be the man to model the character after. So with Breaking Bad coming to an end this fall, how could the writers make Walter White into the new Mr. Freeze? Let’s take a look. First off, Walt’s last name alone can be used as a more realistic surname for Mr. Freeze. The color white conjures up images of winter, snow and ice, so we are already on the right track. This new Mr. Freeze would simply be referred to as Mr. White—a great name for a villain if you ask me. The similarities between Walt and Victor Fries (Mr. Freeze’s real name) begin with the men themselves. Both are brilliant scientists with Fries being an accomplished cryogenicist and Walt a talented, though unappreciated, chemist turned high school chemistry teacher. Both men are experts in their fields and have used their scientific expertise to assist them in their criminal activities. 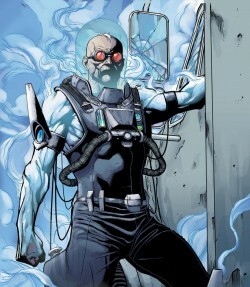 Fries used his knowledge of cryogenics to create a suit to keep his body at subzero temperatures while also developing an ice gun. Walt used his background in chemistry to help him produce the purest form of crystal meth the southwest had ever seen. Instead of making Mr. Freeze a brilliant cryogenicist, make him a brilliant chemist. Simple enough. The wives of both Victor Fries and Walter White have played important roles in the lives of both these criminals. For Fries, it was his wife Nora’s disease that ultimately led him to a life of crime: Nora developed a fatal degenerative disease shortly after they were married and in his attempt to save her Fries placed her in suspended animation until he could find a cure. But, when the funding for his research was cut, a resulting lab explosion turned Fries into the icy criminal Mr. Freeze, who became hell-bent on restoring his wife’s health and seeking revenge on those responsible for his accident. For Walt, his lung cancer and seemingly inevitable death-sentence made him turn to the drug trade as a means of amassing a small fortune for his wife and kids to secure their future well after he was gone. But, Walt’s descent into a life of crime was more gradual than Fries’. Once Walt learned that his cancer was in remission and his life would be extended, he seemed to finally come to terms with the fact that what he was doing now made him a true criminal. Yes, he was already a criminal because he manufactured and sold crystal meth; however, the audience—and Walt—were able to attribute this to the fact that he was trying to provide for his family. Plus, if he were to get caught in the process he wouldn’t have to worry about an extended jail term because he’d be dead soon. Also over the course of the past few seasons, Walt has seemingly lost sight of the fact that his family was the only reason he started producing meth in the first place. He has become lost and corrupt with power: a danger to himself and those around him. The defining moment of Walt’s transformation from worried family man to insane criminal is without question the scene of him laughing hysterically in the crawl space when he learns Skyler gave over $600,000 to her former lover and boss, Ted Beneke. That was the turning point from small-time meth cook to unstable drug lord. So, how do we make Walt like Mr. Freeze? Simple. Skyler’s illness would finally shake him out of apathy and make him realize again that he got into this business for the sole purpose of saving his family, and now, the woman he loves is the one person he cannot save. So, in a desperate attempt to earn back everything he’s lost, and be able to pay for Skyler’s treatment, Walt decides to go on a massive cooking binge: his final batch and only plan for securing the money he needs to save his wife. And, it would be this desperate attempt that would ultimately give him the icy blue look we associate with Mr. Freeze. 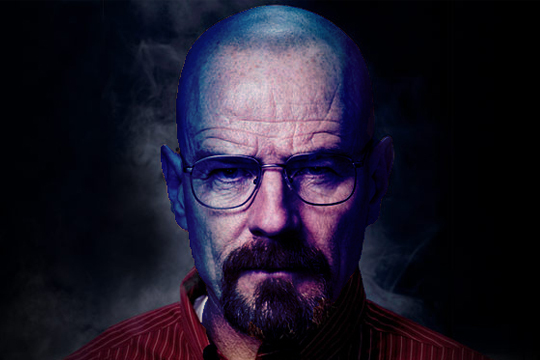 There of course will be the inevitable question of how to make Walter White’s skin blue like Mr. Freeze. It would seem sacrilege to create a Mr. Freeze and not incorporate the icy blue skin, right? But bear in mind that the incarnation of Mr. Freeze I’m talking about with Walter White would be operating within the confines of the Chris Nolan Batman universe, so backstory and origin can be tampered with to ground the characters in reality. Take a look at the Nolan’s Joker. Fans were initially outraged to learn that Heath Ledger’s Joker would be just a criminal with a carved up face wearing clown makeup. Many people said it wasn’t the real Joker unless he fell into a vat of acid and came out with chalk white skin. One can argue now that Nolan’s interpretation of the Joker was better than any we’ve seen before and that’s due in large part to Ledger’s memorable performance. And, based on how Nolan interpreted the Joker’s look, I believe the same can be done with Walter White’s Mr. Freeze. In fact, I say that Breaking Bad has already set up the perfect scenario for this to happen, which is something I teased at the end of the last section. In the season one finale, A No-Rough-Stuff-Type Deal, Walt and Jesse stole a large barrel of methylamine because it would help them produce more meth in a shorter period of time. A side effect of adding methylamine to their recipe was that the resulting product came out blue. In fact, Walt’s meth is known for that distinct color and is one of the way’s Hank and the DEA are tracking its distribution and reach. This is the perfect way to give Walt’s skin the Mr. Freeze look. After Skyler falls ill, you can have Walt rushing to produce mass amounts of meth to try and earn enough money for her treatment. He’s producing more than he ever has before and with everything on his mind and the fear of the DEA closing in on him, Walt has a momentary mental lapse which results in a chemical explosion that destroys the lab, the equipment, and ultimately stains Walt’s skin the same blue color as the meth. Knowing the DEA is sure to discover his lab after such an explosion, coupled with the fact that his blue skin would likely be the final piece in the puzzle of Hank learning the truth about his meth operation, Walt packs up and leaves town, vowing to earn the money for Skyler’s treatment anyway he can. With no place left for him to hide in the southwest, Walt heads for the one city where criminals and freakish looks go hand-in-hand: Gotham City. Watch out Batman, Mr. White is coming to town. Do you think Walter White would make a great Mr. Freeze? Coincidentally I recently wrote a short story about Mr. 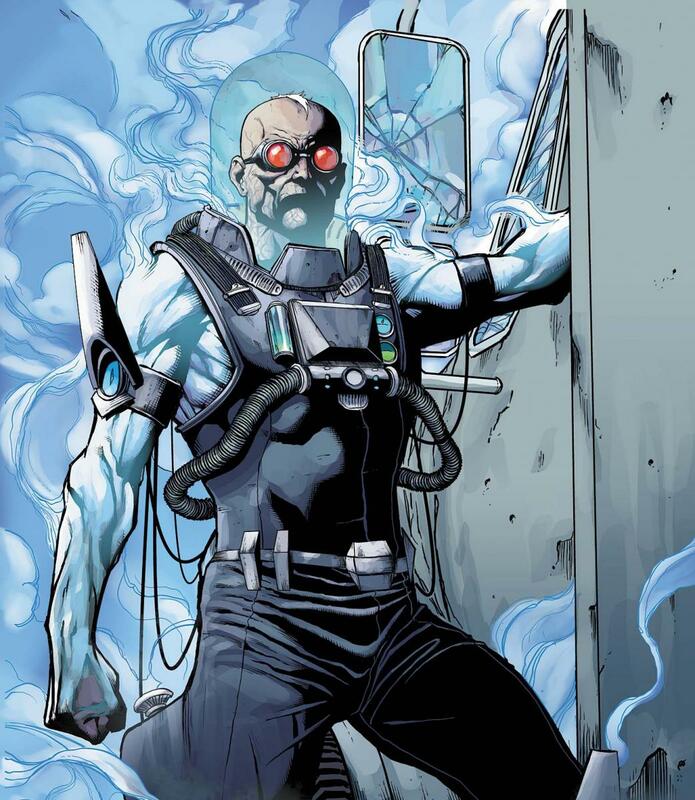 Freeze as if based in Nolan's Batman universe. I totally based my approach on the character on Walter White and with Bryan Cranston in mind. Would you (the author of this article, Colin) mind reading it? Patrick Stewart would be better by a mile. Breaking Bad doesn't end this year. The fifth season was split up and the last half airs next summer. That season finale had me on the edge of my seat, much like Hank. incidentally, has no body else noticed the fact that Walter is basically anti-batman? Works best with a partner, uses gadgets to dispatch his foes(chemical gadgets), and works in an underground/secluded space. all the key points, but he's a criminal.